Just returned from a three day conference. 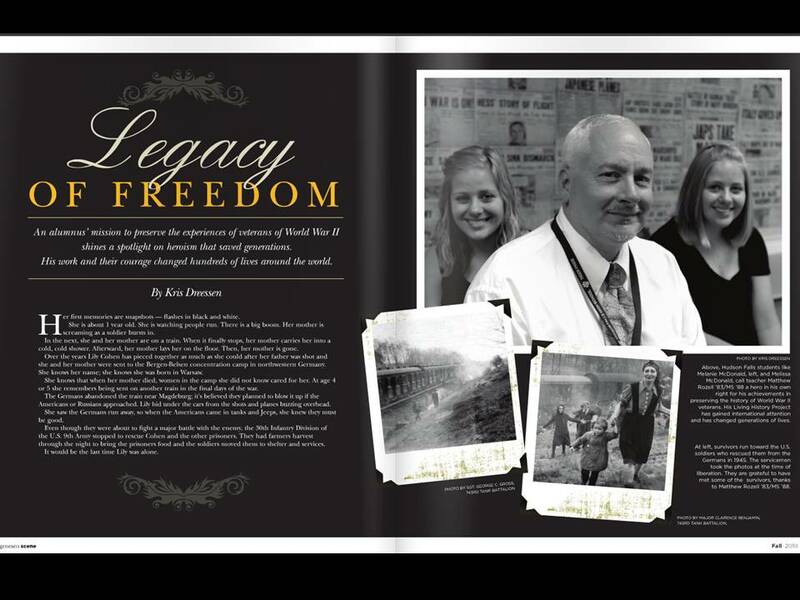 As Holocaust educators, we talk about the choices that individuals face and the patterns that one may follow in making one’s choice. The trend seems to be to focus on the role of the “perpetrator” and “bystander” in the greatest crime in the history of the world, to examine the nuances of their behavior, to perhaps gain insight into why the Holocaust occurred. Yes. Very, very, important. 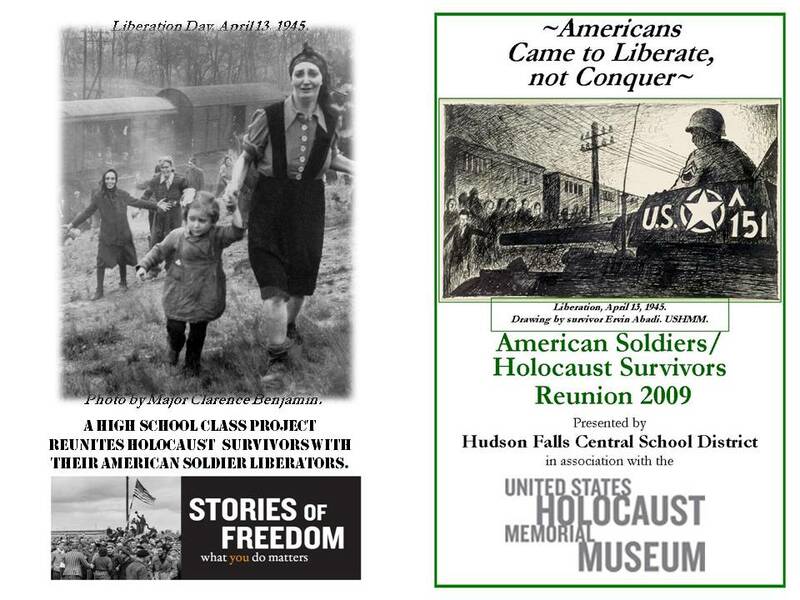 But how about including in our discussion the actions and behaviors of the soldiers who ended the Holocaust? They faced a choice, too. They had seen their friends vaporized in front of their eyes, they were weary, and tired of being shot at, and utterly exhausted. They were twenty fours hours away from another major showdown at a “last stand” city. Many of the soldiers would not survive, though the end of the war was in sight. But they stopped, even as the enemy was digging in behind the battlelines. Horrified and in shock, they sprang into action. One 4 year old survivor remembers that it was the “first time in my life that I can recall an adult with a smile”. If someone were to argue that the world owes these soldiers a debt, I don’t think too many people would find that problematic. If you have not viewed the news clips (about 3 minutes each), I welcome you to do so. In doing so, however, you are forewarned that there is someone who vehemently disagrees with that argument. He even shakes his finger. And what does that say about the soldiers in this story? We need to dissect the behavior of the collaborators and those who are complicit in the crime. But what is it about the decisions made and actions taken by these soldiers that is important to study? Of course this is worthy of our consideration, and as I struggle with my own role in the future of Holocaust education, I don’t think it should be overlooked or worse, “sidebarred” in the larger narrative of choices, patterns of behavior, and decision making. Remember, the permanent exhibition at the USHMM even opens with visitors listening to the narrative of one of these soldiers on the elevator ride up to the 4th floor. Why? It is more than that soldier just becoming the “set-up guy” for the shock that greets one when the elevator doors open. We need to really explore that further. What made them tick? Would one of us have picked up and carried a sick, lice-ridden, foul smelling “semblance” of a human being, exhausted and at the breaking point ourselves ? Look below in the next post to get a Holocaust survivor’s take on it. 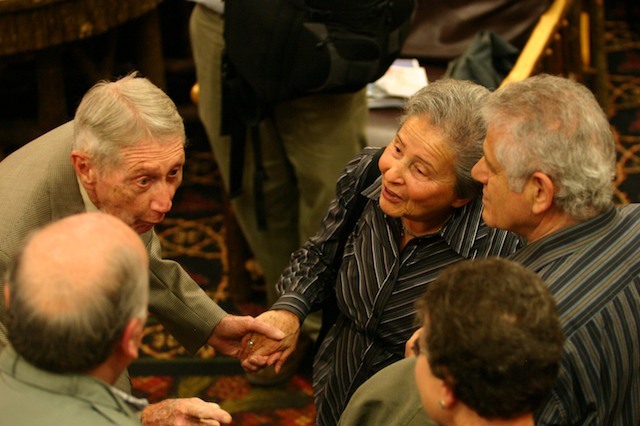 See Bob Spitz’ testimony of his liberation, and typhus. In this video, filmed by my son Ned in March 2008, he is addressing his liberators for the first time since 1945. When I was in ninth grade, my education was disrupted brutally by having been transferred into a railroad yard, packed into cattle cars of the German government and ended up in Bergen Belsen with my father. 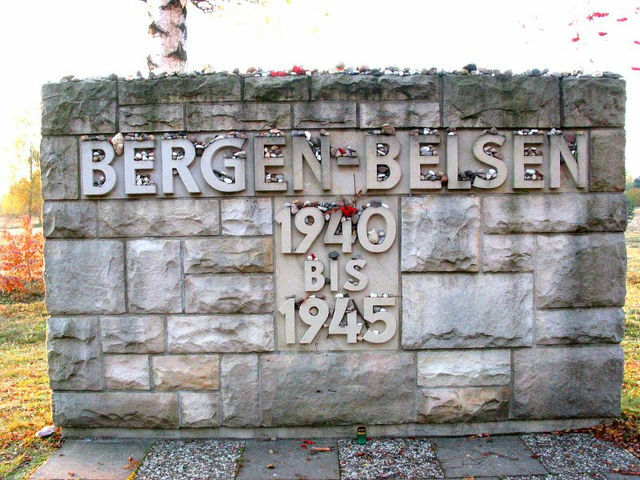 We were in Bergen Belsen from late March to February, in which my father and I were separated. We were hiding the fact that we were father and son. He was taken away from me and he was shipped to a camp in Austria, the camp was called Mauthausenwhere he was killed. 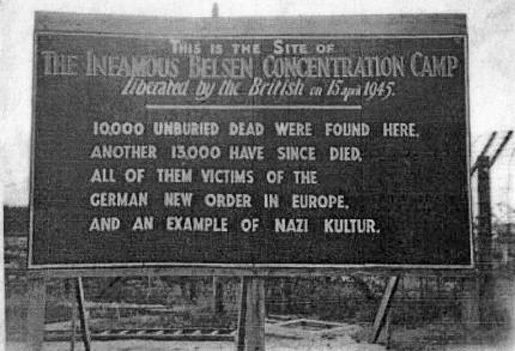 So I was in Bergen Belsen, all by myself, age 14-½ -15, and my physical situation was very, very bad. You heard from other former inmates that they had doctors and birth certificates. We had no no doctors or birth certificates. More often than not we had water problems. We didn’t have running water because the water system was probably in a very bad condition. We didn’t have water available 24 hours a day. I don’t think I have to discuss food with you, you’ve heard enough stories about the lack of food … So on that particular fateful April day, we’d received our orders to go to the railroad yard to be packed in because we we are now going to Theresienstadt. Theresienstadt is so many kilometers from Prague, Czechoslovakia; it was a military camp during the existence of the Austrian-Hungary Empire. Which disintegrated in 1918. Now it became a camp for Jewish inmates under the National Socialist system, you know our train made a drastic mistake in getting to Theresienstadt. It didn’t get into Theresienstadt; it didn’t make it because of you gentlemen of the 30th Division. It was certainly a big day, as I was sitting inside of that car, cattle car, where I would estimate that there were few inmates in the cattle car that had fewer then 1,000,000 lice each. Naturally starved to death, skin and bones, very, very bad condition. Until we heard, I heard, that somebody was fiddling with the lock of my sliding door, from the outside. Obviously that sliding door, the lock was open and first thing I know is that the sliding door is sliding toward an open position. A young man who wore, for you veterans, an ‘OD’ uniform, which means olive drab in English, and he had a white armband with a red cross in it. Behind him there were 2 or 3 younger men without the Red Cross armbands, they were talking a language that I understood. I assume that I was the only one in my car that understood/spoke English. I had English in school with other languages. I was the only one with these guys that was able to strike up a conversation. They were, I think, more delighted than I was. I didn’t realize just how many advantages I just gained because I have successfully established a line of communication with these guys from another part of the world. They were delighted that they could start finding out information that was never available to them. At this time I think I want to stop for a minute to try to convey to you the impressions that I gained at that time from these three guys. He pulled me out of that car and then the other soldiers started pulling guys out of it. I forgot to tell you. When the first soldier opened that sliding door, some bodies-our bodies-fell on him from the railroad car. They were dead. Naturally that came as a surprise. To us, you know, it was a matter of an every day event. He pulled me out and I don’t know how, I didn’t know what was going on. I was out of it, first thing I knew, I am riding on a truck. Again I went out of it, the next thing I knew I was standing in front of a gun which was run by a gasoline-fed engine. They were spraying me with white powder, lots of it. Later on I found out that was procedure of DDT, de-lousing. Believe me they had to waste an awful lot of powder on me. After this, they pulled me and took me into a room. Now I knew it by then that the city, the village of Hilersleben all of a sudden gained 2500, 2600, 2700 new comers. From that train and many of them needed hospitalization. I assumed the majority needed hospitalization. I was put in a semi-private room, two people to the room. Well later I found out that the 2nd and 3rd floor consisted of wards with 70 bunks, 70 beds. Here I have a semi-private room because they could talk to me and I could talk to them. After God knows how many medical examinations and everything else the drastic change of tension in my diet was really very, very easy. Going from no diet to a diet is a drastic turnabout, but it’s an easy process. Again my food had to be supervised very carefully because many people, liberated people, got extremely sick and many died because of their food intake not being planned or controlled. A good Army major went from living quarters with a cocked 45 pistol in his hand, expressing his desire that the German peasant, the German farmer, the German citizen starts cooking for these guys. Many of these guys weren’t ready for that food. It played havoc. So as time went on, I got better and better and I got rid of my typhus and my fever dropped. They called this “normalcy”. I have a problem with this word, normalcy, what is normal? What’s normal to you doesn’t have to be normal to me. I think it’s only a setting on a washing machine. My recovery was very nice and satisfactory except I assumed a new duty which I wasn’t aware of. Often, as the day went on, one medic after another said, ”Hey, Bob. Will you please come with me to the 3rd floor? We have a problem with Tommy/ Billy/ etc. There’s a problem, he can’t talk to us, and we can’t talk to him.” I found myself acting as a translator. Little did I know that was going to be the beginning of something big.